I tried out a ton of Bread recipes both online and in books, and years after (yes you read right, years!) I was able to come up with this beautiful sweet milk bread recipe after a lot of trials, fails and now a success! 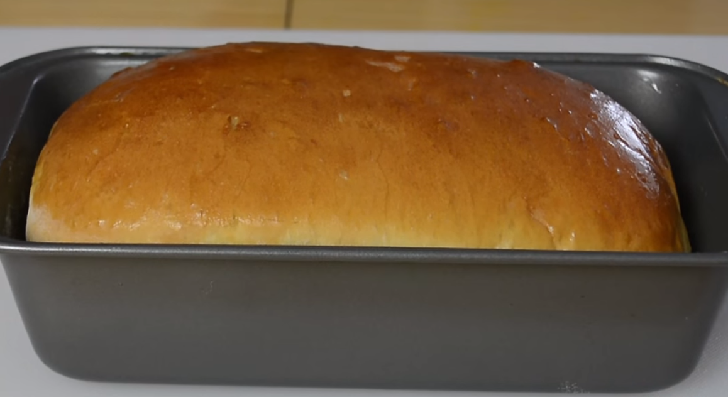 This is my recipe for making the Sweet Milk Bread using the stand mixer. ⏩Mix the Yeast and 1 Tablespoon of Sugar with half of a Cup of Water and allow the Yeast to Proof for 3 to 5 minutes. ⏩Add the Flour, Vitamin C Powder, Salt, Sugar, Yeast mixture, Milk, Eggs and water into the mixing Bowl and mix together this will take about 7 minutes. You can as well knead with your hands for about 10 minutes or a little more. ⏩Once the ingredients are well combined, add the Butter and continue mixing until the dough becomes elastic and pulls away from the sides of the Bowl. If you are kneading with your hands, you will have to knead till the dough becomes smooth and elastic and it’s no longer sticking to the work surface and this will take about 10 minutes. ⏩Coat the dough as well as the Bowl with some Oil, cover it with a damp cloth and place it in a warm place to rise for 1 hour or until it doubled in size. I usually place mine in the Oven with the oven light on. ⏩Now punch down the Dough. Don’t overbeat it. ⏩Transfer it onto a floured work surface and divide the Dough into 4. ⏩Shape your Bread by first making it into a ball, then shape it into a loaf. You can also knead the dough into a rectangular shape with a rolling pin and then tightly roll it up (as you would a Mat) into a loaf. 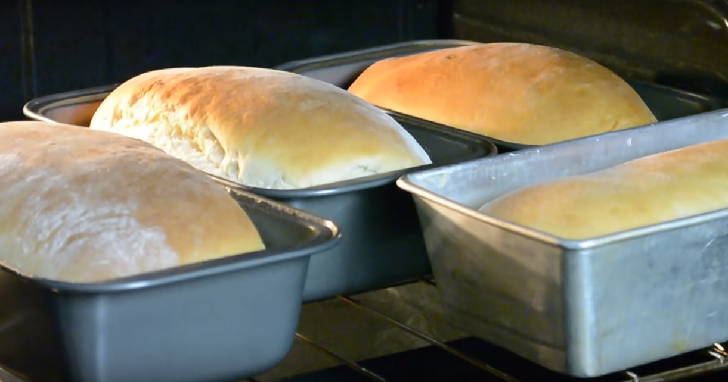 ⏩Place the loaves into a greased pan and leave to rise for another 30 Minutes. ⏩Place into a 350°F preheated oven and bake between 20 to 30 minutes. ⏩Leave to cool for a couple of minutes and enjoy! ➧I added Vitamin C Powder. This can also be replaced with Vinegar. This acts as a preservative and it also creates an acidic environment which helps the Yeast to work better. ➧The Butter helps to enhance the flavor, texture, and moisture in the bread. ➧I steamed up the Oven so that the Dough will have enough time to rise before the crust is formed. ➧I Buttered the Bread surface to get a shiny, soft and tender crust. ➧I use this for my French toast and sandwiches as well. Bread flour is what I used in this recipe, not all-purpose Flour. Though, I’ve got a lot of feedback from people who used all purpose flour and got amazing results.